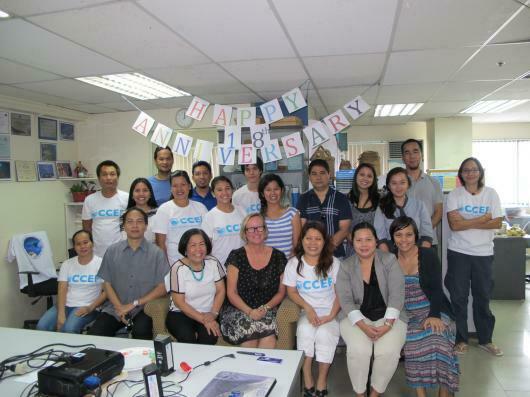 CCEF is celebrating its 18th anniversary! To mark this milestone, the Foundation staff (current and old) gathered on January 21, 2016 to celebrate 18 years of CCEF as a champion in coastal resource management, conservation, and education. Through the years, the Coastal Conservation and Education Foundation has made some significant strides. Several communes have joined our programs, headed by our Research and Monitoring Team (REMOTE) and Consultants, to fortify the upkeep of the coastal environs. CCEF’s President Alan White encouraged the team to continue on with hard work and optimism to support and achieve the mission and vision of the Foundation. “I have resolved for all CCEF staff to remain positive and optimistic in working towards sustainable coasts in the Philippines.” said Alan White. 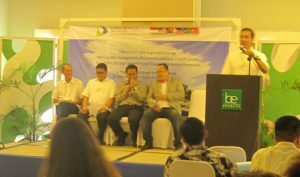 Moreover, Alan expressed his gratitude for the staff’s dedication as leaders in managing Philippine coastal habitats. The anniversary celebration also included a talk from Judi Lowe on dive tourism and its impact on integrated coastal management and livelihoods for local fishers. She presented practices and issues and various livelihood and development opportunities of whale shark watching in Oslob, Province of Cebu, Philippines. Judi is a lawyer and accountant in Australia and has focused on finance, marine conservation, and fisheries compliance issues from commercial, policy and international law perspectives. “As the future unfolds, the Foundation is positioned in a unique way to foster sustainable coasts. 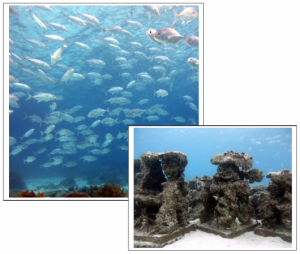 CCEF envisions to involve communities and to develop and disseminate tools, techniques and research for better marine management.” said Executive Director Moonyeen Alava. The celebration marked a feat in CCEF’s long history. Indeed, 18 full years of advocacy, program planning, development and implementation manifests its dedication in preserving and protecting the coastal and marine ecosystems!